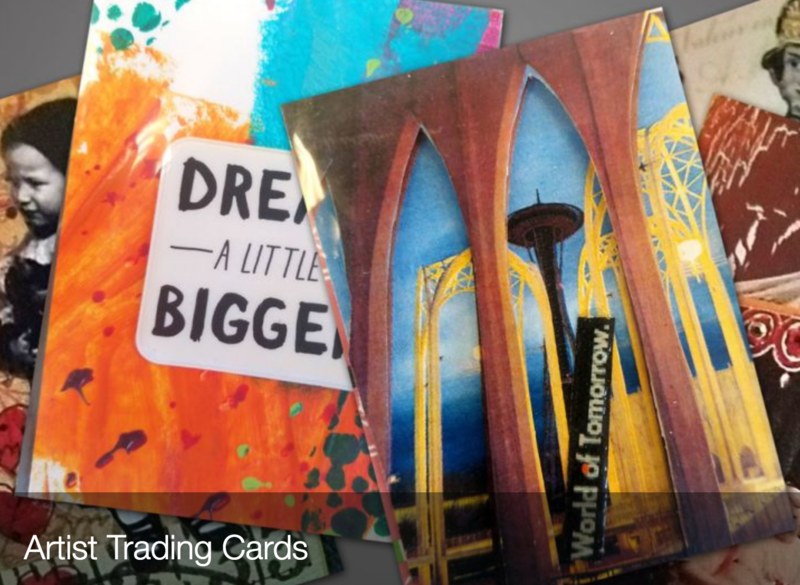 Join an ever growing membership of casual artists who gather to make art trading cards and trade them. Small art is a big movement and Artist Trading Cards (ATC’s) are miniature works of art In this class artists create small 2.5 x 3.5-inch unique pieces of artwork that they can collect, trade and easily share with others. They can be collaged, stamped, stitched, painted, doodled and more. Explore the possibilities of the small canvas with Cindy Uhrich, who will teach you a range of techniques. This class is for anyone who needs a little help starting their creative flow, or for the seasoned artist who wants to trade and collect one of a kind art with others.